Bill Lowell is doing his part to help the environment. He’s currently renovating his Minnesota home with a recycled blue jean product for sound insulation, a grey-water system using recycled water to flush toilets and a DaVinci synthetic slate roof. 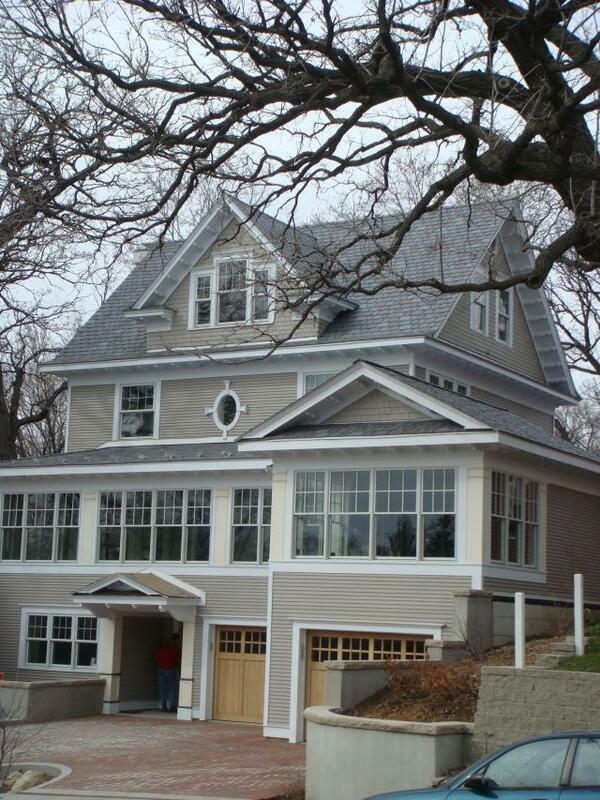 "The original house had asphalt shingles and we wanted them gone," says Lowell. 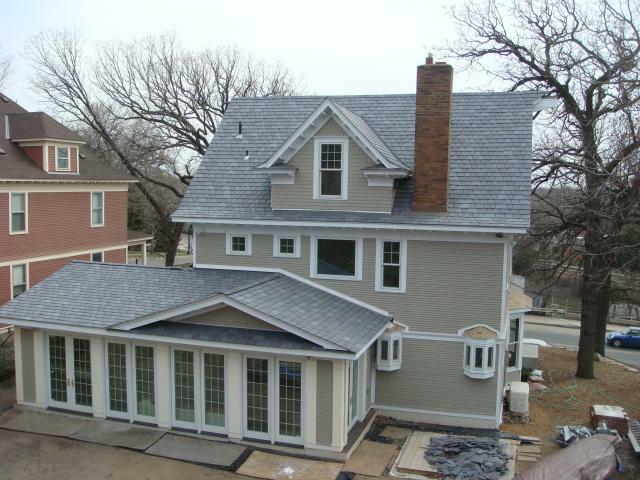 "Since we’re expanding the house dramatically, a new composite slate roof was required for everything to match. One key reasons Lowell selected a green roof system is because of DaVinci’s recycling program. "We did a great deal of research on all the products for our home and were impressed with DaVinci’s waste recycling program and the 50-year warranty," says Lowell. "When the roof was completed, it was an easy process for fill and return 10 boxes of the left-over composite slate roof tiles and cuttings. "We’re really pleased that the simulated slate roofing product is 100 percent recyclable and that our scrap product is being repurposed into starter synthetic roofing tiles by DaVinci to extend its lifespan."